Recent scientific progress has allowed us to begin decoding the significance of many different patterns of activity in the brain. Researchers have begun to understand patterns associated with disorders such as depression, in hopes of correcting it. Other research has zeroed in on how language and speech is signaled in the brain. 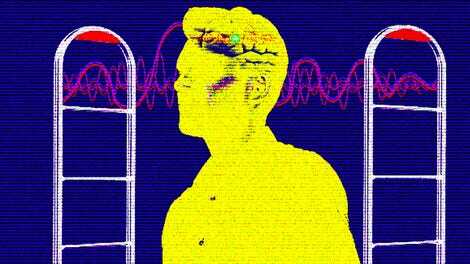 In one often-cited experiment, researchers were even able to convert the MRI readouts of the test subjects’ brains into approximate renditions of the movie clips shown to participants. Now new research seeks to use artificial intelligence to identify people suffering from suicidal thoughts based on brain scans alone. In a paper published this week in Nature Human Behavior, researchers from Carnegie Mellon University looked at 34 participants, half of whom were experiencing suicidal thoughts. Study participants all underwent functional magnetic resonance imaging (fMRI), during which they were shown words related to suicide, such as “death” and “distressed,” as well as words related to positive and negative emotions. Based on the participants that had already been identified as suicidal, they were able to identify five regions of the brain and six words that helped to identify those that were suicidal. Based on that information, they were then able to train an algorithm to identify suicidal patients. Of the 34 participants, the algorithm correctly identified 15 of the 17 suicidal patients and 16 of 17 member of the control group. In a second experiment, researchers also divided participants with suicidal thoughts into two groups: One group that had attempted suicide, and one that had not. A separate algorithm was also able to correctly categorize 16 of those 17 patients. Why is this important? 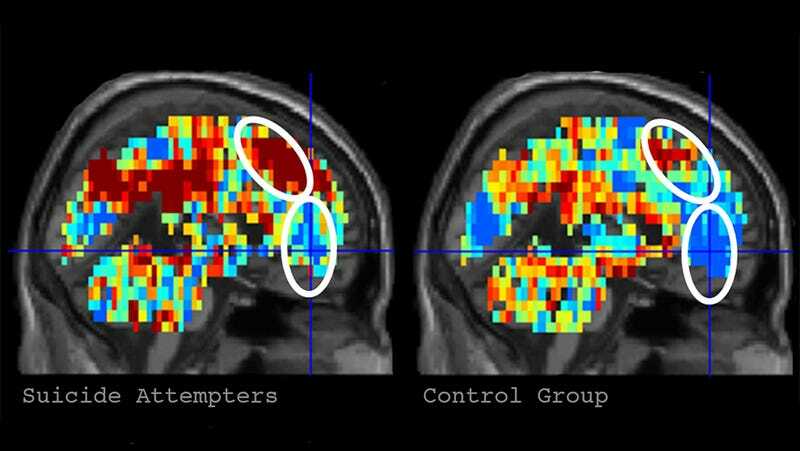 For one, it gives us insight into how the brains of healthy people and suicidal people differ. In suicidal patients, for example, the word “death” triggered a reaction in the region of the brain associated with shame. It also may one day provide an additional tool to help diagnose and treat mental health disorders. Psychiatric illnesses are complicated, and often not all that well understood in terms of where they exist in the brain. That’s why, for example, the symptoms for disorders like depression often seem vague. A diagnosis of major depressive disorder requires a person to exhibit five of nine symptoms, but two people could wind up with the same diagnosis and have almost no symptoms in common. Understanding where in the brain those problems are occurring could one day lead to more effective means of treating them.